There are plenty more answers needed if the full-blown concept of undirected Darwinian evolution (accounting for not only variation but speciation) is ever going to be accepted as fact – even though a lot of people think that day has already come. Some time ago I noted down from a radio interview a very honest and helpful list of questions that there are still no answers to, provided by Dr Anjali Goswami, UCL and Prof Scott Armbruster, Portsmouth University. 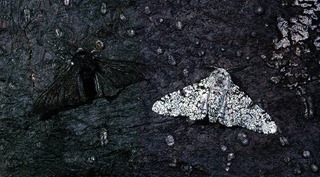 What actually drives morphological variation? How do we get the variety of forms that we see today? Why do we see those and not other forms? How does natural selection operate in the wild? What created the patterns and diversity we see today? What makes the origin of life and of the genetic code a disturbing riddle is this: the genetic code is without any biological function unless it is translated; that is, unless it leads to the synthesis of the proteins whose structure is laid down by the code. But, as Monod points out, the machinery by which the cell (at least the non-primitive cell, which is the only one we know) translates the code ‘consists of at least fifty macromolecular components which are themselves coded in the DNA’ [citing Monod]. Thus the code cannot be translated except by using certain products of its translation. This constitutes a baffling circle; a really vicious circle, it seems, for any attempt to form a model, or a theory, of the genesis of the genetic code. Thus we may be faced with the possibility that the origin of life (like the origin of the universe) becomes an impenetrable barrier to science, and a residue to all attempts to reduce biology to chemistry and physics. That was written in 1974, but I’m pretty sure nothing much has changed on that one. The evolution of life must have this as its headline: in the beginning, God created the heavens and the earth. The philosopher John Gray has written a book entitled The Immortalisation Commission: Science and the Strange Quest to Cheat Death. In Gray’s view, the search for immortality is delusional, illogical. However, humanity still applies its greatest achievements in learning to seek to overturn death: for example, Ray Kurzweil’s well-known speculation as to whether immortality will eventually be realised by being able to preserve a distinct human consciousness within a software system, and to instantiate that consciousness within a virtual realm. 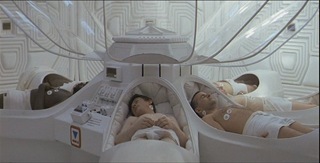 Or the much older idea of cryogenic stasis. One particular question arises in my mind: does ultra-Darwinism have an explanation for the undeniable human longing and search for longevity and immortality? Ultra-Darwinism is built solely upon the principle of the survival of the strongest genes, the most adaptive genes. Life is geared to propagation. Death is fundamental to the mechanics of Darwinism. If humans are merely concerned with propagating genes, what purpose is served by longevity and immortality? Especially beyond the time when propagation is possible. And yet humans yearn for it. Of course, in Christian theology, death is ordinarily the necessary precursor to immortality through resurrection. The Athenians were askance at Paul’s proclamation of resurrection, but for Paul this is how the human yearning for immortality will be realised. Even those who remain alive at the moment of the transformation of the cosmos must themselves pass through the transformative process through which those who have died have passed (1 Cor 15: 51). 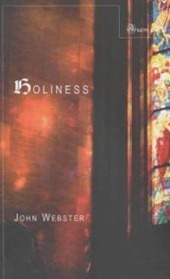 I’ve been dipping in and out of John Webster’s book Holiness. His account of a trinitarian theology of holiness is very satisfying. Viewing God’s holiness as being expressed in his acts, the relational aspect of God’s holiness is key to Webster’s treatment.